Mr. Lemon and I have a tendency to purchase more fresh fruit than we are able to eat and it goes bad before we can finish it. Thus are the trials of having only two people in your home! However, when bananas are part of the equation, it often leads to baking! 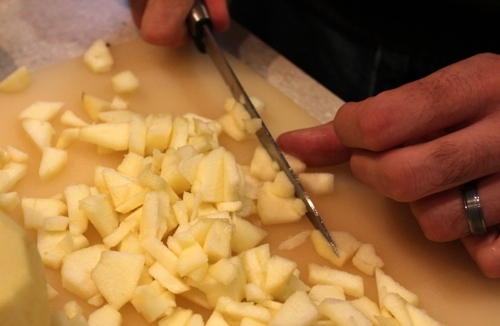 This recipe uses both bananas and apples, a fruit I seem to over purchase in the fall. 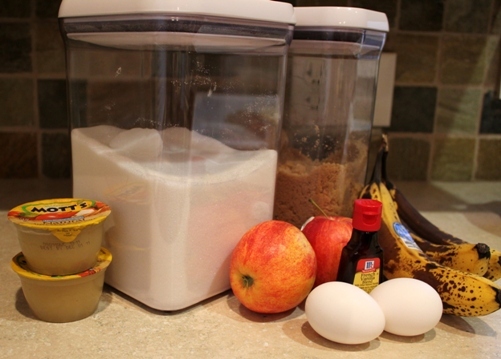 But I love this recipe for for Apple Banana Muffins so much that maybe it wasn’t really an accidental over-buy! I’ve adapted the recipe from this one at All Recipes. Note that in the original recipe they are called “cupcakes” but since I like to eat them for breakfast, I prefer to think of them as “muffins” :) Nothing like a little self-manipulation first thing in the morning! Preheat oven to 375 (350 for non-stick pans). 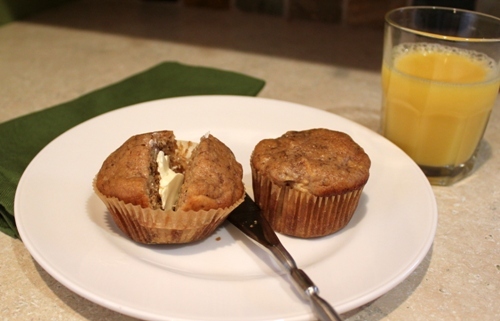 Grease and flour or use paper liners for 18 – 24 muffin cups (I like my cupcakes and muffins larger so usually get about 18 out of any “24” recipe). 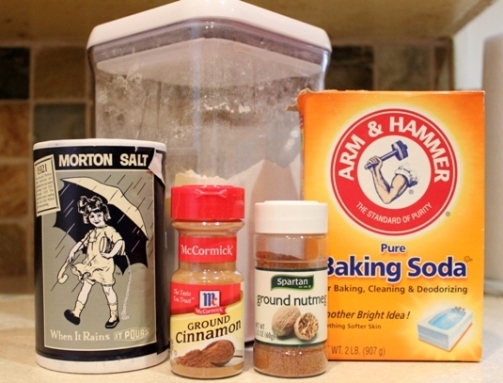 Mix together flour, baking soda, salt, cinnamon and nutmeg in small bowl. Fill each muffin cup 3/4 full of mixture. I usually just pour cupcake or muffin from the bowl, but since this batter is so lumpy, it doesn’t pour as well and it works better to use a 1/4 cup measuring cup instead. This entry was posted in Recipes and tagged fall, recipes. Bookmark the permalink. Those look fantastic! I don’t know if you’re aware of this, but you can freeze over-ripe bananas if you don’t want to use them right away. You can either peel them or leave them unpeeled. I froze some peeled ones when my parents were here and used them to make banana muffins, and they came out great! They look disgusting when you thaw them, though! Hooray for self-manipulation! And these cupcakes, ehrm, muffins- they look delicious!